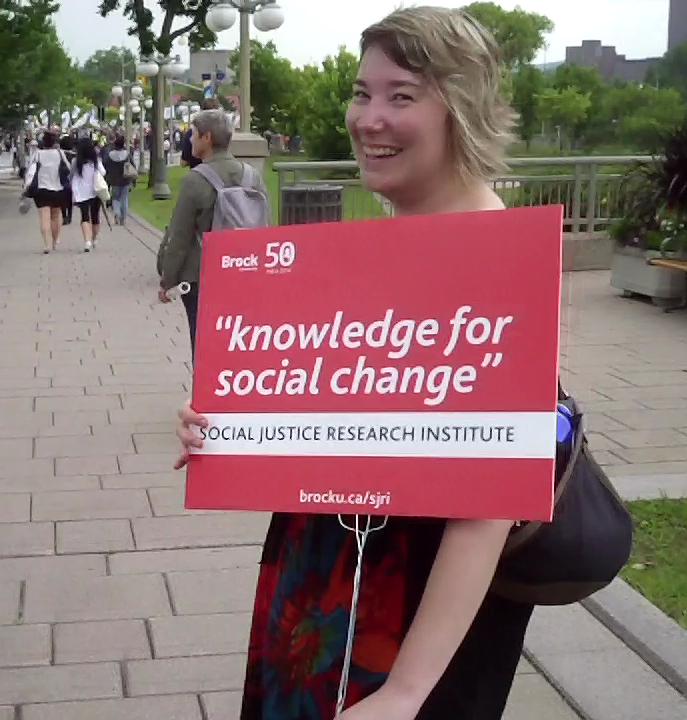 After almost four years of service to the social justice research community at and beyond Brock University, I have accepted a permanent position and have transitioned to Brock’s Office of Research Services (ORS). I am grateful to the Social Justice Research Institute (SJRI) and its partners for the opportunity to engage with world-class scholars and colleagues in the community dedicated to enacting social change as researchers and activists. As part of my new position, I will be providing services to all faculty members in the Social Sciences, Humanities, Business, and Education. I look forward to a career in research administration facilitating research excellence at Brock and in the Niagara for the long-term. I continue to pursue intellectual work as an Independent Scholar. My core interest, as an activist and a researcher, is to promote critical action and reflection on issues of social and environmental justice that matter to Canadian residents. Please feel free to look around my website or contact me to learn more.